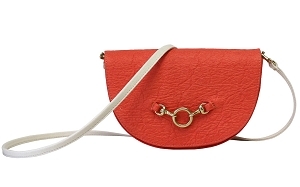 Our new, convertible half-moon bag in Poppy is our roomiest hands-free bag yet. With glimmering gold accents and top flap magnetic closure, our half-moon bag opens to reveal an interior of soft, luxurious eco-suede (made from recycled plastic bottles) and organic cotton complete with a zippered pocket for your cards and cash. 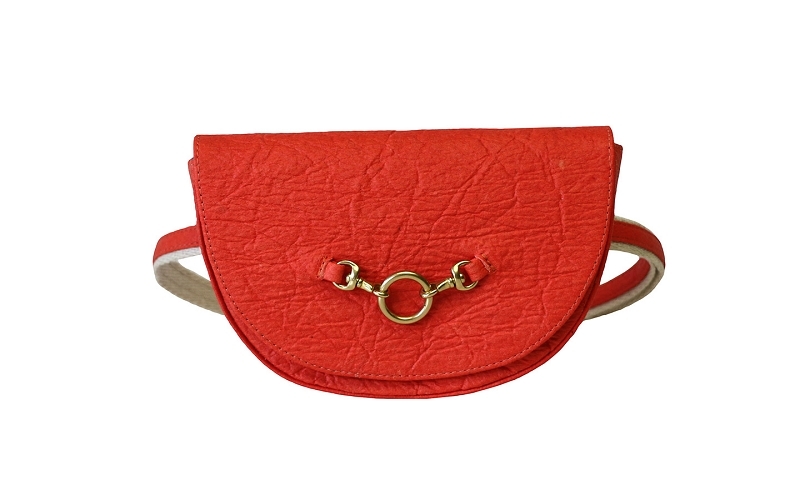 Comes with cross body strap made from premium eco-suede (made from recycled plastic bottles) which can be removed to wear as a clutch. Also converts to belt bag by slipping belt through the back. 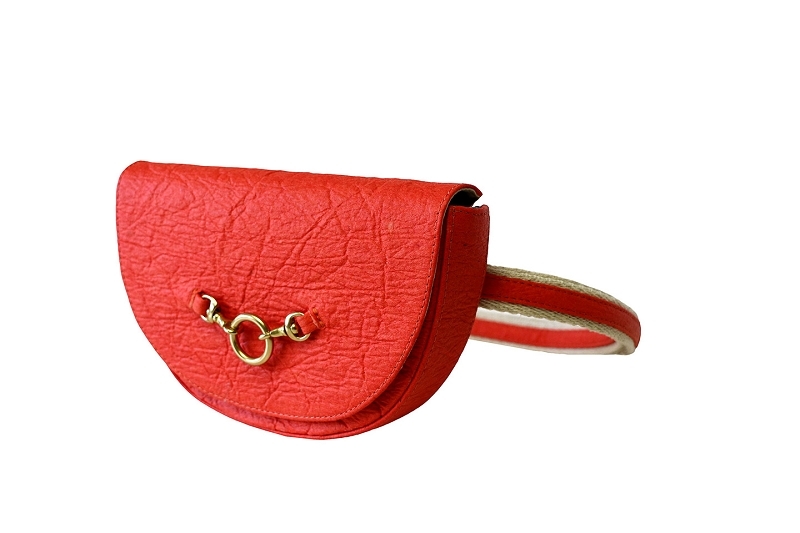 Matching belt is not included and must be purchased separately as an add on. Handcrafted locally and sustainably in Los Angeles.